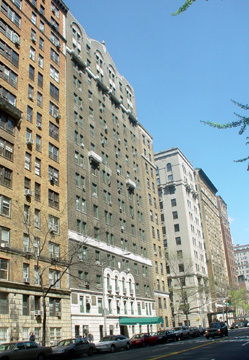 This 15-story apartment building at 595 West End Avenue was erected in 1929 and designed by Sugarman, Hess & Berger. 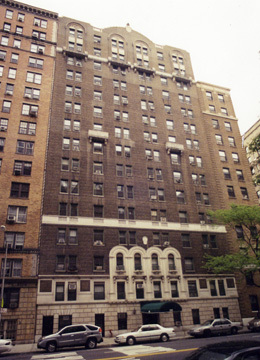 It had 60 apartments but many were combined when it was converted to a condominium in 2008. The building has a one-story rusticated base and its second story is mostly white stone and the third story has four arched decorative window surrounds above the building's entrance. Above the fourth floor is an unusual bandcourse with balustrades beneath the windows. The building has a slightly curved roofline in its center and consistent fenestration with protruding air-conditioners. It has a one-step-entrance and wall lights flank its canopied entrance. The building has a doorman. 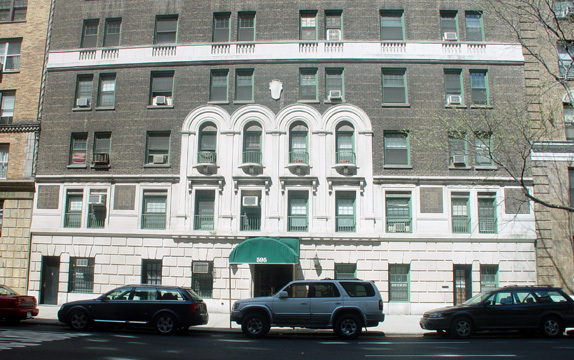 It is convenient to public transportation and only a block away from Riverside Park. 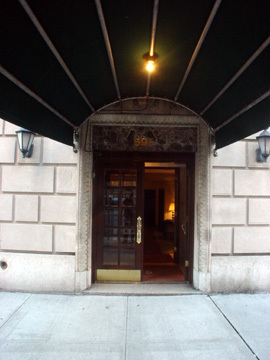 Its interiors were designed by Sean Johnson in 2005 and Harry Meltzer was the architect for the conversion.